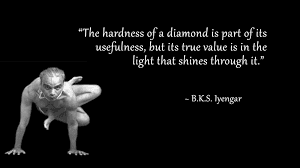 It is part of yogic lore now, but the living legend B.K.S. Iyengar was, in his childhood, very sick. He was born weak, due his mother's illness while she was pregnant with him. Even in infancy and early childhood, he was attacked by the virulent tropical infections which left him pain-racked and weak. In fact, when he was sent to his relative, the equally legendary Krishnamacharya, to learn yoga he was often ridiculed for his puny size. Krishnamacharya was not keen on having Iyengar do the public demonstrations of yogic asanas because of Iyengar's frailty. Yet, through sheer determination and steadiness of practice, Iyengar attained superb skill in yoga. Iyengar never fails to emphasizes just how he used yoga to reclaim his health. He was written off as a young kid because he was very sickly -- his body was racked by malaria, typhoid and tuberculosis. But he lived to the ripe old age of 96. And transformed the idea of health and your own ability to take charge of it. 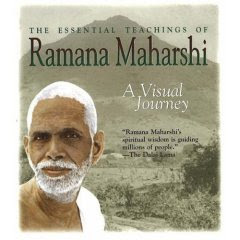 He says this, n this best-selling Yoga: the path to holistic health : "There are two types of immunity, natural and acquired. Yoga strengthens both, and regular practice of the recommended asanas can help counter the disorders that affect them."